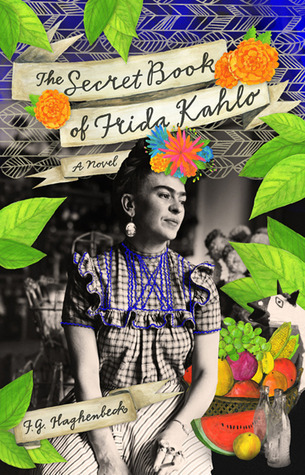 This month’s book is The Secret Book of Frida Kahlo by FG Hagenbeck and is hosted by Debra at Eliot’s Eats. Despite the confusion, I loved the story and found Frida incredibly fascinating. It also got me curious about Frida Kahlo and sent me fact searching all over the internet and library (I watched the movie (recipe coming up next month), grabbed a recipe book (I made Squash Blossom Quesadillas), and picked up a copy of her biography). Fact of fiction, Frida Kahlo lead a very interesting life. The book itself included some “fake” (?) recipes in the body of the novel (meant to enhance the book, but not be used) and just a few adapted into “real” recipes included at the end. I’ll be honest, I have no idea why the author chose to do this. Anyhow, I ended up making a chicken mole inspired by the book, but I didn’t use the recipe from the book. Even the adapted recipe was way too overwhelming. So I went to the internet to find a recipe that was true to the story, but would still appeal to my family. In all honesty, this is probably not the most authentic mole out there (the original recipe called for dried ancho chilis, I thought I’d replace it with ancho chili powder, but when I got home from the store it turned out that I have chipotle chili powder, not ancho, so I had to make a huge substitution). That being said, I did keep the chocolate and the cinnamon, even though it scared me (both make me think of desserts) and the mole was delicious! It made a huge amount, so I was able to eat the mole over tortillas and rice. I preferred the tortillas (the rice made me think of chicken tikka masala) but it’s delicious either way! Place the chicken thighs on the bottom of a slow cooker. Season liberally with salt and pepper. Place all of the remaining ingredients into a blender. Blend until smooth. Pour the mixture over the chicken thighs. Cook on low for 8 hours or high for 4 hours. 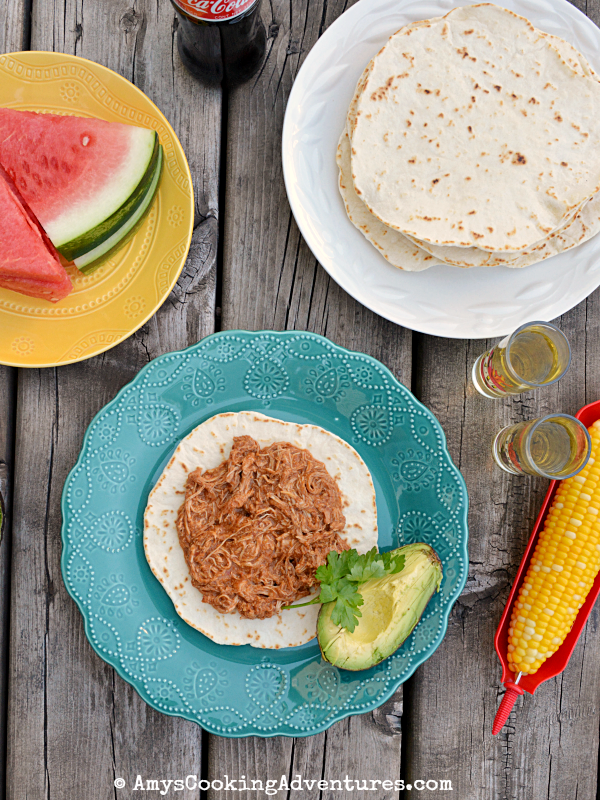 Shred and serve with homemade tortillas (flour or corn), vegetables, and rice. I am also linking up to August Foodies Read, hosted by Heather at Based on a True Story. Glad you're a Frida-phile now. :). I think you're the first to post! 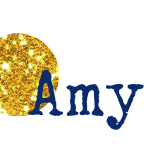 Great dish, Amy! I finished the book but then left on vacation. I have an idea of the dish I want to make. 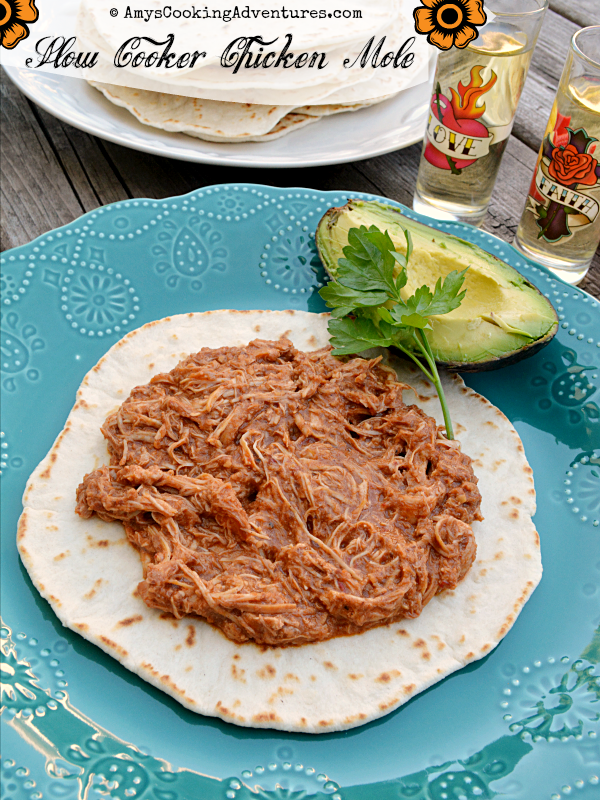 This mole looks wonderful on your homemade tortillas. I love it when historical fiction makes you want to do more research. Confusing though the book was, we did get a pretty good picture of Frida's life. Good idea with the slow-cooker mole. I have so much extra mole in the freezer after mine, I'm thinking maybe turkey after Thanksgiving left-overs in it.